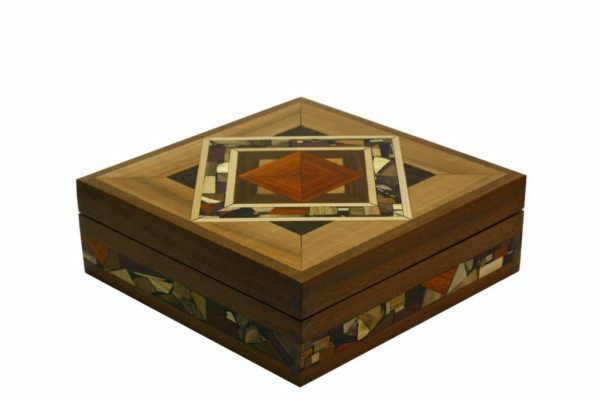 Everyone needs a wooden box – Especially one that’s beautiful to look at! Big or small, these decorative boxes & tea chests are sure to find a use. You will be surprised how quickly they fill. That’s why my customers keep coming back for more! 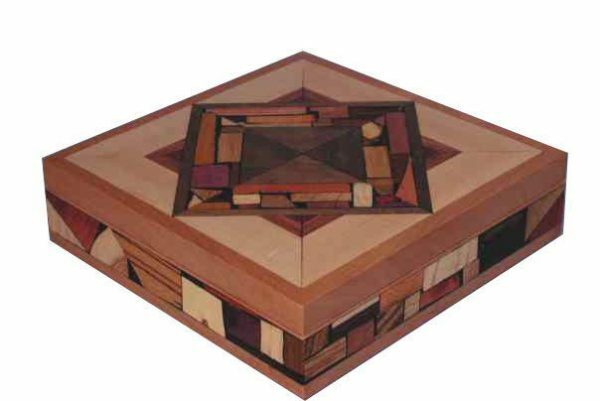 What can you do with a wooden box with a lid? The possibilities are endless. 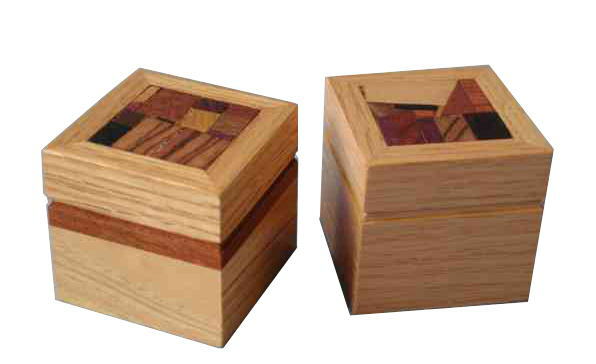 Keep track of your little items with a small wooden box. Useful for clearing clutter, they also make great trinket boxes for small items you don’t want to lose. 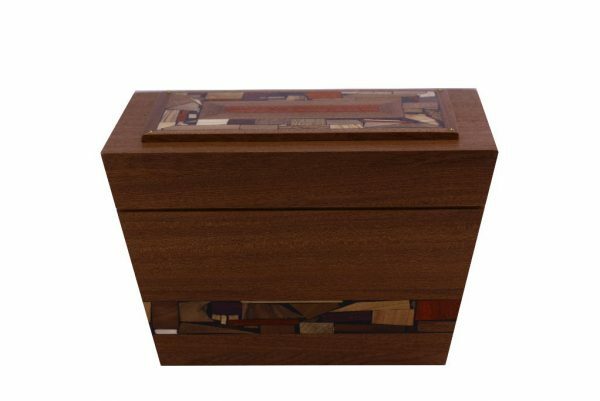 If you’re looking for a wooden memory box, one of the larger pieces might be perfect. These boxes are sturdy and made to last generations. Like unusual objects? The round boxes are intriguing to look at. Even better, they can secretly hold your treasures. Do you love tea? 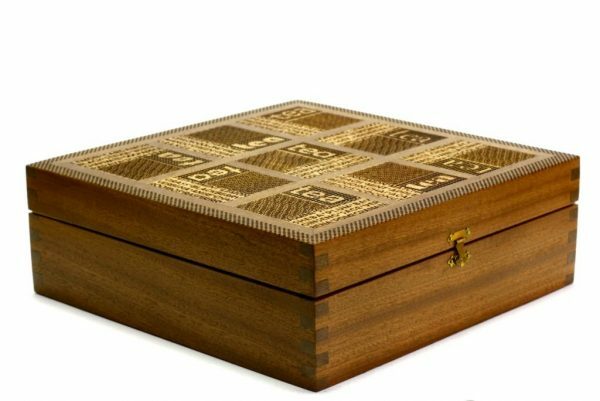 These wooden tea box are for you! No more pawing through piles of tea bags – Now you can easily organize your different flavors. Make it easy for your guests and yourself, to pick a favorite tea. 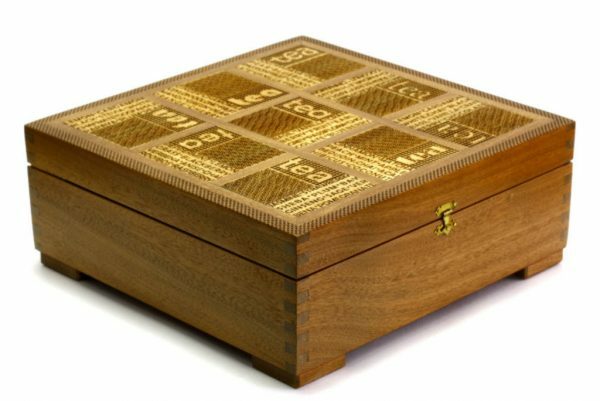 Every time you present the tea chest for tea personalized tea selection, you and your guests will enjoy its beauty. 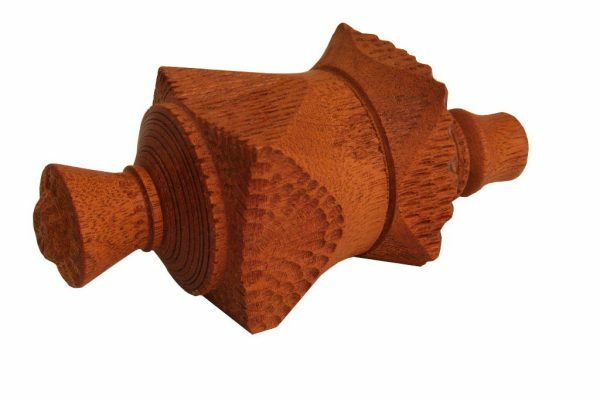 Have you ever noticed the special quality that handcrafted items possess? People want to touch and look at objects that were lovingly made by hand. Now you can do so every day, each time you use an Etz-Ron tea selection box when you make your tea. 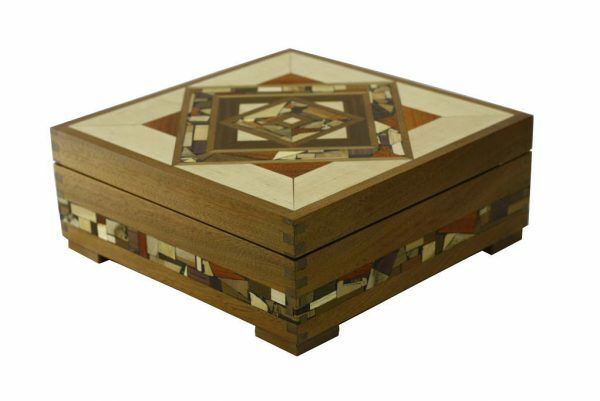 With natural wood colors in geometric shapes, each side of every box looks different. As one of my customers says, these are three-dimensional paintings you can touch! 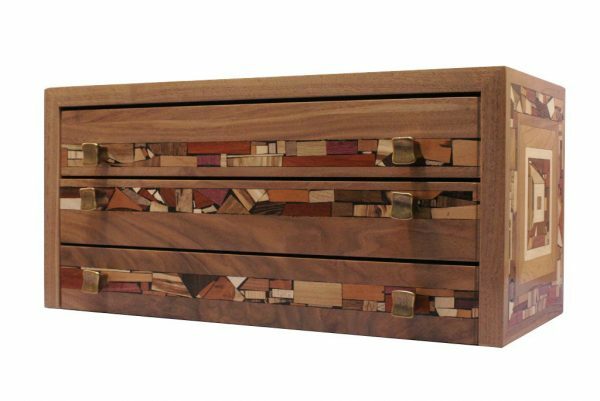 I carefully design every surface to make the box beautiful for your table, bookcase, or counter. 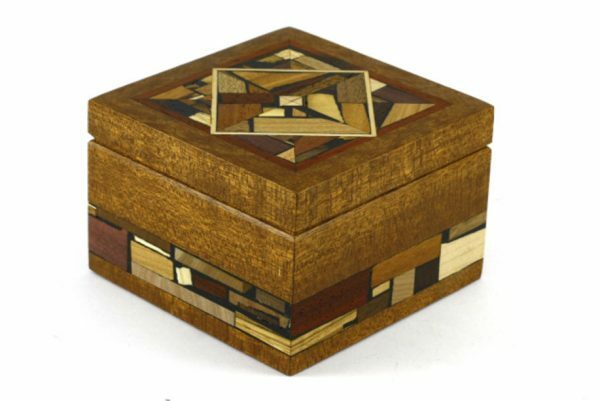 From large to small, each box was created with great care and attention. What are you waiting for? 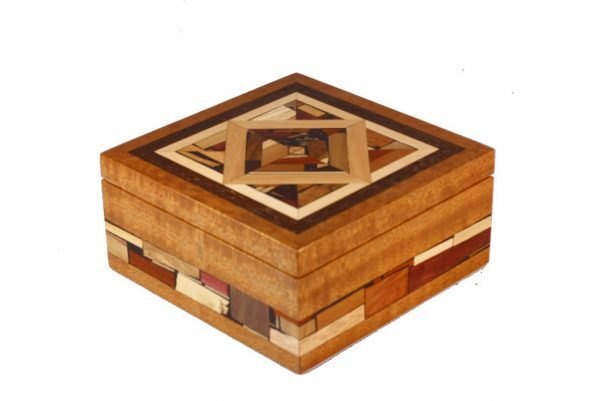 Pick your own handmade box and discover the surprising possibilities for a beautiful box!